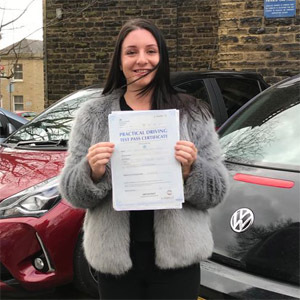 Learner drivers located in or around Huddersfield have a convenient test centre located not far from the city centre. Situated on Waverley Road, Huddersfield test centre can be found in the vicnity of Highfield St James, Hussain Architectural Design and Sykes & Associates Osteopaths. Get to know more about this test centre with our essential guide below. Read on for directions, pass rates, test routes and much more about Huddersfield. Barely 5 minutes from the centre of Huddersfield itself, conveniently located next to the A629 New North Road, Huddersfield test centre is easy to get to and accessible to all vistors. Not had the chance to look around yet? That's fine. You can find directions to Huddersfield test centre here. With the DVSA putting a stop to publishing routes, you won't be able to find your exact test route. 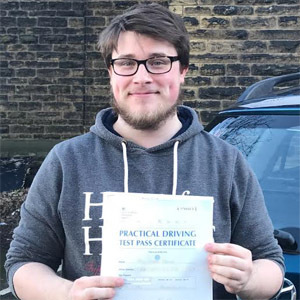 If you'd like a rough idea of what might appear on your test, however, you can look at videos of Huddersfield test routes on YouTube or download our sample Huddersfield driving test routes. If you've had lessons with a local instructor, they'll have undoubtedly had you refining your driving skills on the very same roads most likely to show up on your practical. By the time your test rolls on by, you'll be familiar with most of the route. There’s not much to complain about with Huddersfield’s pass rates—they’ve surpassed the national average of 47% in the past few years. Of course, you can’t just depend on pass rates to get by. You’ve got to put in the effort to get the best result—getting your hands on that brand new licence! What If I Can't Go To Huddersfield? Can’t head to Huddersfield? The closest alternatives are Heckmondwike and Halifax. If you’d rather go elsewhere, there’s plenty of West Yorkshire test centres to choose from. Your test route will end once you're back at Huddersfield test centre, at which point, you'll be given our result. It doesn't matter what your result is, you'll be given a feedback sheet that lists any faults you made. If you do pass, you'll receive your test pass certificate. If you'd like to send off for your new licence then and there, you'll have to hand over your provisional. While it can be disappointing to fail your practical test, it’s not the end of the world. You can quite easily pass the next time around as long as you take on board the examiner’s feedback. If you'd like to get bac on the road ASAP, get PassMeFast to fast-track your test. To get things started, why not give us a call on 0333 123 4949? Or, if you’d prefer, you can contact us on our website. PassMeFast is very different to traditional driving schools. Instead of taking lessons over several months, you can take an intensive or semi-intensive course in the space of days or weeks. These courses enable students to build up their knowledge constantly so that they’re fully prepared for their practical tests. 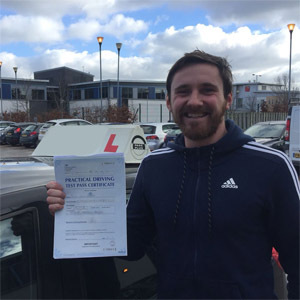 We also offer fast-track practical tests so that you can take your tests without worrying about DVSA waiting times, which can stretch over weeks or even months. Get started today! Look at our course prices and see what’s on offer—we even offer student discount! Simply give us a call on 0333 123 4949 or book a course online to take one step closer to getting on the road. Super happy to have passed my test this morning. I had Alan as my instructor and he was amazing. I emailed PassMeFast just over a month ago and now I've had my lessons and passed already. Thank you so much! Passed first time with PassMeFast. 30 hour course in 6 days. They sorted everything out, which was great. Highly recommend them. PassMeFast were exceedingly accommodating and communication was first class. I was assigned an excellent instructor who gave me the confidence to drive. 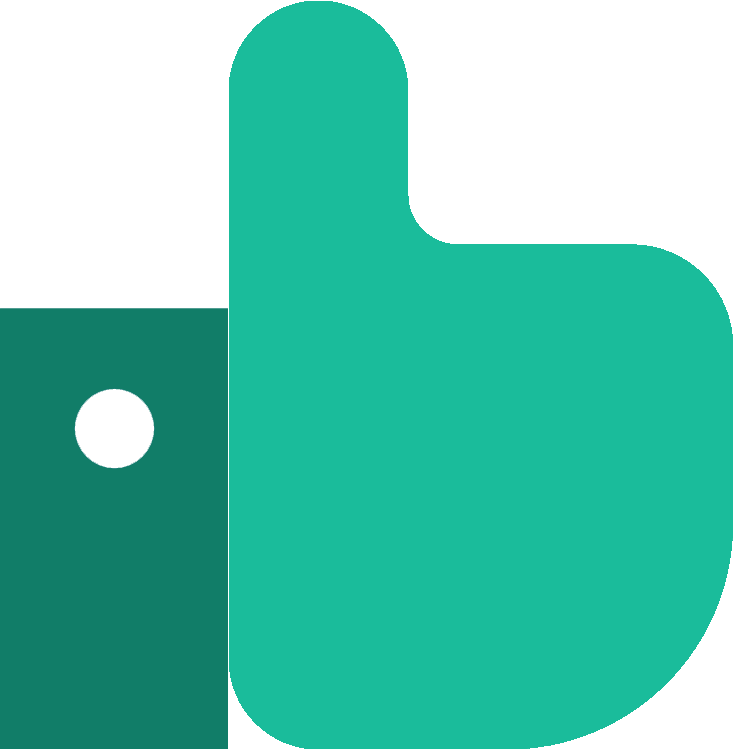 I would not hesitate to recommend PassMeFast to anyone looking to learn how to drive.